In the 17th and 18th centuries, during the period of "The Council of the State of Lithuania", Vilna became an important centre for Torah learning. In the mid-17th century, a Talmud Torah (religious school) was built in the city, and philanthropists established a fund supporting its students. This period saw many well-known Torah scholars settle in the city: the most ancient tombstone in the old Jewish cemetery in Vilna was that of Rebbe Menachem Munsch Bar Yitzhak Hayut from 1636; Rebbe Uri Shraga Feibush emigrated to Jerusalem where he became the president of the Ashkenazi community and was given the nickname "Ashkenazi" and it was said with reference to the adjudicator Rebbe Moshe Bar Yitzhak Yehuda Lima that, "From Moshe [Moses] to Moshe, there has never been one like Moshe." 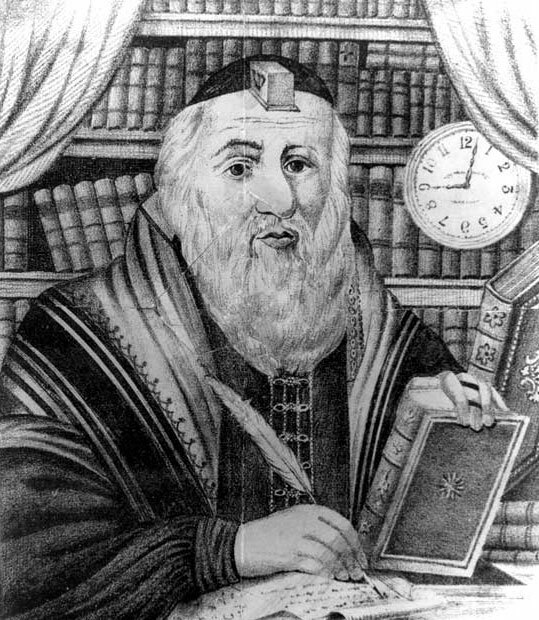 The city had many famous exegesists, authors of Jewish law and tradition, leaders and innovators in Jewish law, and even merchants well known for their Torah expertise; Rebbe Aharon Gordon was physician to the king of Poland and Rebbe Yehuda Ben Eliezer Safra Vedayna was a wealthy merchant and philanthropist who built a synagogue bearing his name ("The Old Kloize") and even successfully lobbied the king for the easing of restrictions on the Jews. At the end of the 18th century, Vilna, under the leadership of the Vilna Gaon (Gra), became the stronghold of the misnagdim (a group who opposed the hassidic movement). 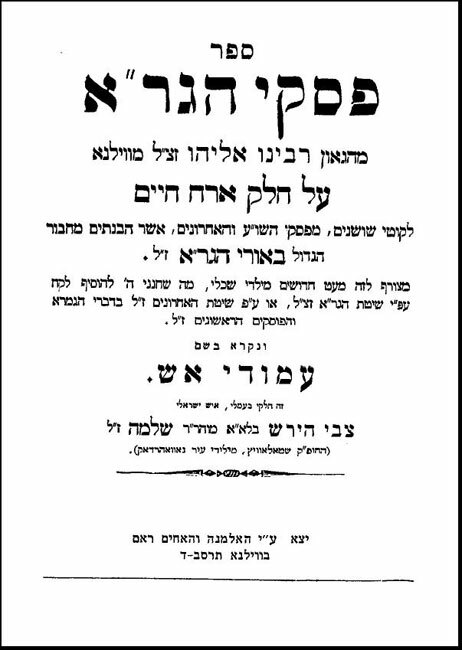 The Vilna Gaon declared it compulsory to expel hassidim (members of a branch of Orthodox Judaism that promotes spirituality and mysticism) from Jewish communities, the Va'ad Kehillah (community council) limited trade with them, and the community's Beit Din (Jewish legal court) gave an order to burn their writings and that its leaders should "confess before a holy ark." The misnagdim claimed that the hassidim betrayed the monarchy, and brought about the arrest of Rebbe Shneur Zalman of Liadi (the Ba'al Hatanya) and other hassidim. 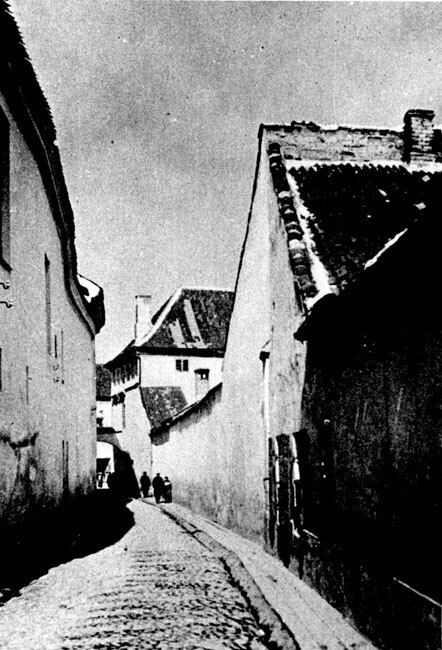 The hassidic movement in Vilna weakened, and the few that remained in the city were forced to take their activities underground. 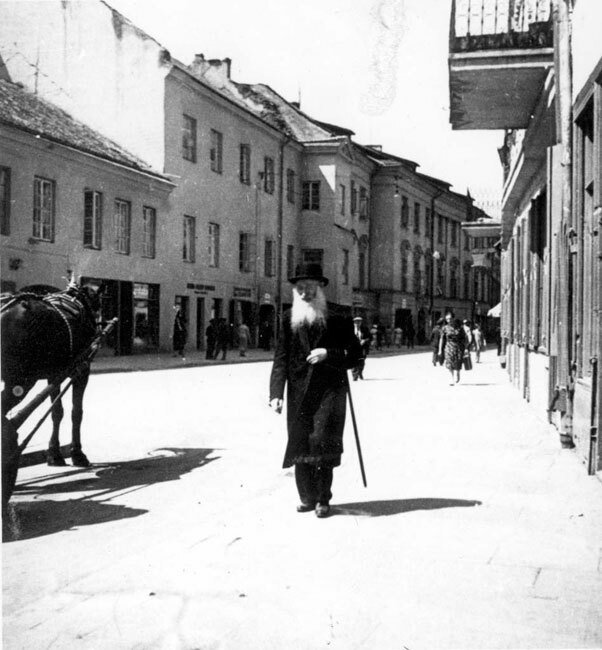 One of the hassidic leaders in Vilna, Rebbe Menachem-Mendel of Vitebsk, headed a group of hassidim that emigrated to Eretz Israel. At the end of the 18th century, with the division of Poland, Vilna was annexed to the Russian empire. In one generation, the share in commerce played by Jewish traders jumped from one-fifth to four-fifths. Vilna's Jews were involved in many varied fields of manufacture and established professional unions. The Jews of Vilna were organized into 25 professional guilds. The majority maintained charitable funds and some even had their own kloizes (study halls). Entire sectors of industry, such as roofing, millinery, and wagon driving were exclusively in Jewish hands. There was fierce competition between the Jews in these fields and income was tight. 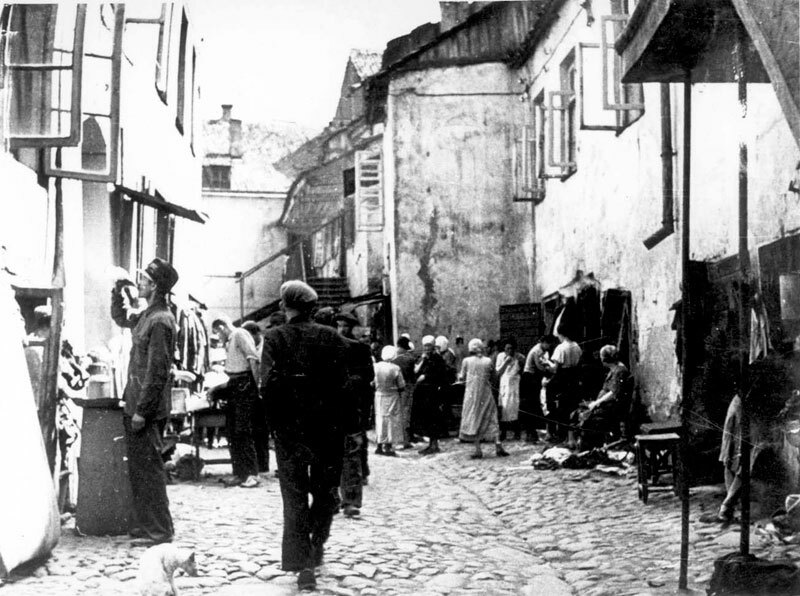 The Jews of Vilna established credit societies that assisted traders and artisans, and charitable funds that supported yeshiva students, the elderly and the infirm. A Polish poet wrote a poem about the director of one of the charities. 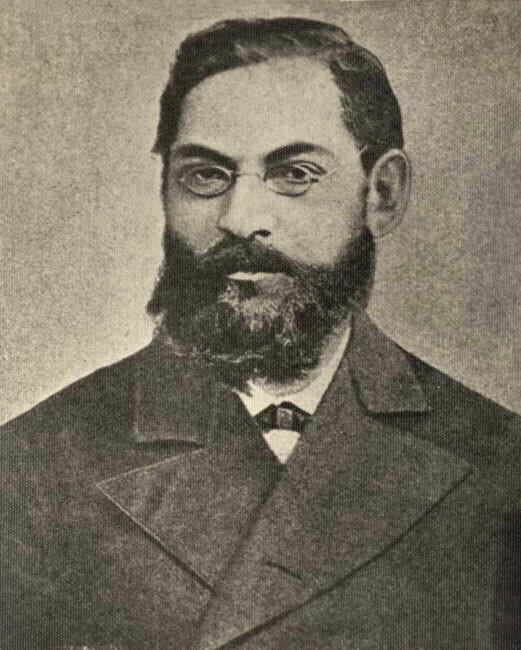 The poem was translated into Yiddish and Hebrew; Polish dignitaries donated money to fund a statue of the director and it was displayed in the city museum. At the beginning of the 19th century, the "Great Charity" organization was established, which coordinated the different Jewish aid associations in the city. Vilna also had other mutual charity and aid associations, a Jewish hospital, a Jewish hostel, sheltered living accommodation for the elderly, and a soup kitchen. While the invasion of Napoleon and the Lithuanian Revolt left most of the Jews of Vilna faithful to the Czar, his government abolished the Va'ad Kehillah, appointed its own rabbi, and increased their taxes. After the Polish Revolt of 1863, taxation on the Jewish population rose once more. Nevertheless, by the end of the 19th century Jews were allowed to take part in mayoral elections, and even received partial representation in the city's municipal institutions. 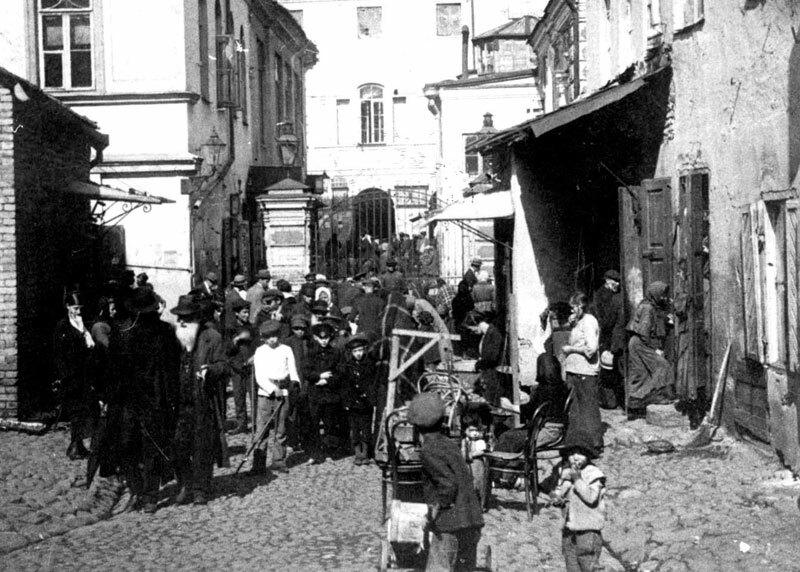 At the end of the 19th century, the Russian authorities forbade the Jews from settling in villages, most of them moved to Vilna, leading to severe overcrowding and unemployment. In 1897, some 64,000 Jews were recorded as living in the city – approximately 40% of the total population. Half of them made a living from industry, handicrafts and transport. Among the Jewish industries were small-time traders, clothing manufacturers, paper and printing factories, carpentries and tanneries, flour mills and beer factories. Jews also worked as physicians, pharmacists, lawyers and teachers. Five Jewish banks and dozens of charities supported Jewish economic activities. At the end of the 19th century Vilna was a centre of political activity and Jewish culture in which Hebrew and Yiddish literature flourished. In the mid-19th century, a state art school opened in the city which did not impose a Jewish quota. 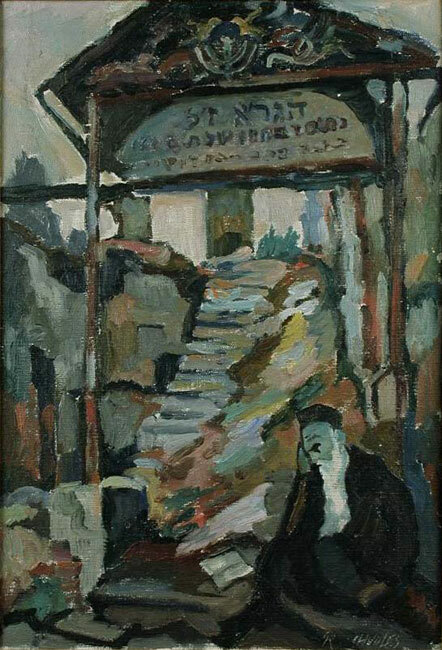 Famous Jewish artists in Vilna included Boris Schatz, who later founded the Bezalel Academy of Arts and Design in Jerusalem, and the painter Chaim Soutine. Jewish theatre companies from across Russia often appeared in the city. In 1912, Itzhak Katzenelson and his troupe from Lodz performed in Vilna. One of the first Hovevei Zion organizations in Russia was established in Vilna. In 1895, a committee of Jewish social-democratic circles assembled in Vilna, and in 1897 a committee establishing the Bund was formed. "The Council of the State of Lithuania" was established in the 15th century and served with the "Council of Four Lands" as a representative body for the Jewish communities of Poland and Lithuania. The Council determined how the tax demands of the government should be divided among the Jews, represented the Jewish communities to the government and was relied upon to judge between Jews in all matters pertaining to Jewish law and internal conflicts within the community. The councils were disbanded during the mid-18th century. 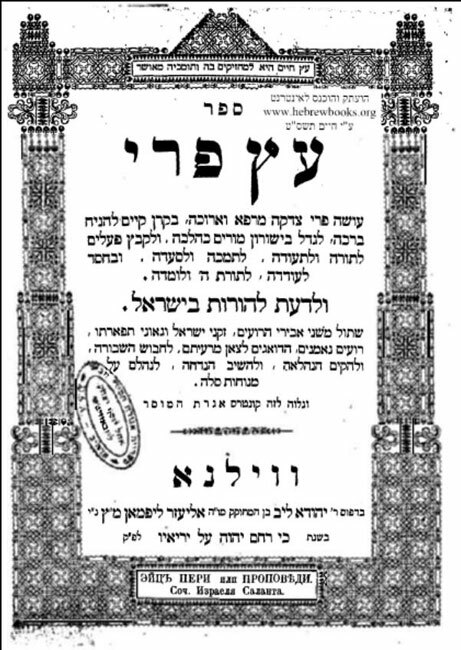 In the 18th century, Vilna saw the birth and activity of Rebbe Eliyahu Ben Shlomo Zalman – the Vilna Gaon or Gra. From his earliest childhood, the Vilna Gaon wrote novellae in Jewish Law. Despite numerous offers to lead the Jewish community, the Vilna Gaon refused, so that he could continue his studies. He lived on a stipend given to him by the community, and dedicated his time to researching the Talmud and scriptures. He found mistakes, established an accurate version of the texts, clarified the Babylonian Talmud, Midrash (homiletic teachings on the Bible) and Shulchan Aruch (the Code of Jewish Law), wrote explanations of Kabbalah (Jewish mysticism), and made religious rulings. He also learned mathematics, algebra, astronomy and other "external wisdoms," encouraged the acquisition of general education, particularly the sciences, and even supported the translation of works in these areas. At the age of 40, the Vilna Gaon began to teach a small group of elite scholars, who later became famous in their own right. This group grew into a huge spiritual centre that was highly influential in the areas of Jewish Law and Kabbalah. During his life, Vilna became known as the "Jerusalem of Lithuania." Under his influence, the yeshiva world of Eastern Europe became the leading current in ultra-orthodox Judaism, and remains so today. The Vilna Gaon detested long-winded debate, instead preferring to learn and teach in a manner that led to direct religious rulings. He did not flinch from ruling according to his own understanding, sometimes coming out against previous adjudicators, the Shulchan Aruch, or the standard practice. The Vilna Gaon stressed the importance of living in Eretz Israel as part of a process that would bring the Redemption. He even once set out for the Holy Land, but returned. At the beginning of the 19th century, after his death, three groups of his students left for Eretz Israel. Boris (Zalman Dov) Schatz was born in Kovno, Lithuania, and sent by his father to study at the Vilna Yeshiva. Schatz left the yeshiva and began studying art in Vilna, and later in Warsaw. At first he studied painting but soon moved to sculpture, producing reliefs. Schatz lived in Paris, and later emigrated to Bulgaria, where he founded a state art academy. In 1906 he moved to Eretz Israel, where he founded and directed the academy of arts that later became known as "Bezalel." The subjects of his works were mostly taken from the bible, and symbolized the rebirth of the Jewish people. His son, Bezalel Schatz, designed the western door of the Hall of Remembrance at Yad Vashem. Chaim Soutine was born in Belarus and studied in a cheder (a torah school for young children). Against the wishes of his father, he followed his heart and moved to Minsk, where he began to study painting. A year later he was accepted to the academy of art in Vilna, where he studied for three years. In 1913, Soutine moved to Paris, where his artistic talents blossomed, inspired in particular by his colleagues including Marc Chagall and Amedeo Modigliani. He was one of the first painters of L'Ecole de Paris, most of whose artists were murdered during the Holocaust. Soutine painted hundreds of works in Paris and throughout France, most of them portraits and landscapes. During the Nazi occupation, Soutine hid outside of the French capital. Due to illness he was forced to return to Paris, where he died during surgery in August 1943. He was buried at the Montparnasse cemetery in Paris.